Nanotechnology has the capacity to become a more important revolutionary force for business than the industrial revolution. Industrial application - such as catalysts, advanced composite materials, novel bottom-up manufacturing processes, daily health products (sun screen is one of the earliest nanotech products) and improved structural materials (steel, cement and glass).There are many others - Nano robotics, energy applications etc. Nanotechnology researchers and engineers work at changing the structure of materials at the Nano-scale level to alter their properties to make materials more durable, stronger and effective. Nanotechnology is a most collaborative field and is considered to be a meeting of engineering, technology and sciences such as physics, chemistry, biology and material science. The Global Nanotechnology Market is composed to grow at a compound annual growth rate of around 18.1% over the next decade to get approximately $173.95 billion by 2025. With inclusive market analysis across the major countries such as Europe, North America, Asia Pacific, Middle East, Latin America and remaining part of the world the report is a valuable asset for the existing members, new people and the future investor. 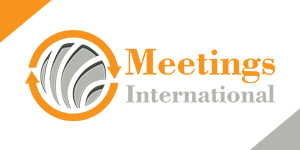 Meeting International PTE LTD is organizing conferences on this topic at Singapore City, Singapore and Paris, France. International Conference on Nanomaterials and Biomaterials will be held in Amsterdam, Netherlands during December 11-13, 2017.